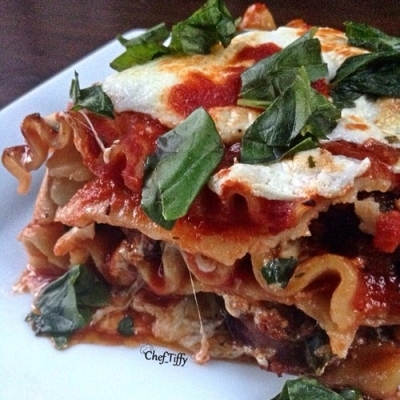 Made with Brown Rice Pasta, this comfort food is sure to please! In an 8 x 12 baking dish, spoon about 1/8 Cup Tomato Sauce on bottom. Bake on 400 for about 35-40 minutes, or until cheese is melted all the way through. Optional Layers: Ricotta Cheese & Italian-Seasoned Meat.